. As in, I just can't click next. I can click the court record but can't go any further. I still remember everything I wanted to say about this game. Let's get this show on the road! Spoiler: Again, no one waited for this. Minor Spoilers. Since this was one of my first fan games, I have to include an anecdote. I have a tendency to ramble, so I will try to be as organized as possible. No promises. I've said this before, but I fell out of being a super fan of this series. I won't mince words here. Both life and the 2 games and 1(officially translated) spin-off preceding Spirit of Justice were to blame for that as well as what I found to be boring, repetitive memes and opinions coming from other fans. Especially my IRL friends who were also fans and would come to me gushing about the latest games and asking my opinions on voice actors/cases/stuff. That's fine for them, but even with my newfound appreciation for the rushed AJ: AA I didn't care for the newer titles or even the Layton crossover. Investigations 2 was ok though, but it was about the same for me as Spirit of Justice. OK. 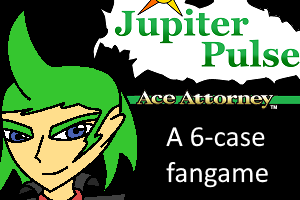 Anyway, one day years later out of sheer boredom and curiosity as to the state of this fandom and series, I looked up "Ace Attorney fan games" to see if people have tried to make any. I won't lie, I was expecting trash, uncompleted projects, or fake games for meme purposes. That was usually the case for that sort of thing and I felt like having a laugh...OR SO I THOUGHT I WOULD LAUGH. I was wrong and I am so glad I was wrong. I didn't just find online tool, I found an exportable engine being used for stuff like this. I found some actual talent and potential. I found a reason to check on this fandom every now and then. This game and Turnabout Substitution(this was first) ended up being a gateway into a rabbit hole of fan games for me. Now that you know my mindset going into this that first playthrough up to the first half(Quarter?) of case 5, you can understand why I was so blown away and had this at the top. That has changed since then, but it's still a nose hair away from the top. I can't explain it other than how characters were handled. When I found out about this game, I knew from the outset that it focused more on story. but not completely memorable. Other than that and the first case not clicking with me fully, I had zero issues with this game. It's a bold game, bold in the right way. It was an interesting way of handling Pearl, Cody, and even Obadiah. I still love the idea of meeting the mortician of the series. I wish we could have met him earlier somehow, maybe in a one off short conversation in the second case? Then again, from what I've briefly read that case had a lot revisions as it was. I loved talking to that guy, he was hilarious. When the game was finished, I did a fresh playthrough to see what changed from last time. I noticed some of the change and the cases benefited from them. Because of the changes, I ended up liking the first case a bit more than I did the first time. There's a sense of flow with this game as a whole and it's surprisingly tight. I never felt like there was filler. The third case was very close to feeling like it until after the first day. Then it all came together. I also admit that the references in the third case made no sense to me until I started playing more fan games, such as Bad Player or when one character mentioned a "Cicatrice" in the fifth case. Now that I have, I'm surprised That Woman(you know the one) wasn't named Blackrune...or would that be too on the nose? Jokes aside, my enjoyment of this game was enhanced by playing more fan games. It was the same feeling I got when replaying the last two parts of Turnabout of Courage. Yeah...I told there would be rambling. I had an absolute blast playing this game. I won't lie, I was expecting a different song that I either never heard of or haven't heard in a while for the final testimony break. When it turned out to be the usual cadenza remix, I wasn't complaining. It worked. So yeah, good job dude. I look forward to any future projects. Don't mind me, just passing through. Even so... I agree 100% with what you said on the walkthrough. I'm curious though; is there a reason you redacted some of the walkthrough? 1) There were certain specific contradictions that I wanted the players to figure out on their own for an "aha" factor. For instance, the final present of The Rogue Turnabout. Having 2-3 testimonies AFTER Meredith Fey confesses screams that the case is far from being over. If the player goes to the walkthrough during what appears to be the final confrontation and sees that there is much, much more left, then he/she is clued that Meredith didn't really do it. Same goes for either of the thought route sequences. I wish we could have met him earlier somehow, maybe in a one off short conversation in the second case? 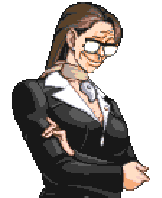 Honestly, if I were to ever go back and completely redo The Rogue Turnabout (hypothetically "if" - not ever going to happen), this is one thing that I would do. TRT was a big case of me learning - sometimes too late - the process of editing one's work. I consider it to be a learning experience and my current fiction has benefited greatly from it. Last edited by Ropfa on Mon Jan 08, 2018 5:25 am, edited 1 time in total. I just finished playing through this- goddamn that was great. Every case was good, but case 4 was honestly better than many canon cases in my opinion. Case 5 was also great but 4 surpassed it in my eyes. Case 2 was shockingly deep for a second case in my opinion, I really liked how you don't prove Virgil to be guilty- you show him that he's failed his original goal and what he's doing breaks the Sir Gallante creed so he confesses- it was quite unique for the series. As for case 4, I kind of suspected Pearl very early in the investigation- I didn't expect her to be there and I found it oddly unclear where she went during the shots, but I never TRULY thought it to be her, especially after Meredith confessed. No way did I think the real killer was someone else after she threatens Maya in the investigation, but it turns out that was to protect Iris. Very well done twist that sent me for a loop. I loved Pearl's character and development throughout the case, her motive, while I'd understand if some people thought it was a bit odd, was pretty good in my opinion. I think going in that direction was a risk that seriously paid off, Pearl is a lot more interesting than her Dual Destinies/SoJ self. Both endings were really depressing, but that's not a bad thing. I went with proving the motive as my "canon" ending in case 5 since the other ending seemed worse (ESPECIALLY considering Pearl wanted to be caught herself), and judging by the differences it causes in case 5, everything is way more grim. The defendant (no way am I remembering that spelling) snapping Luciano's neck and being shot? Obadiah presenting the forged evidence? Sheesh. Glad I chose the one I did. Part of me does wish one ending was canon the one I picked but leaving it up to the player to decide which one to run with instead of just making one a bad ending that closes in case 4 is brilliant. I didn't expect the doctor much that much at all of being the big bad, so that was good, I saw some theories but found Watters more likely to be honest. I think the final parts were a bit too easy- taking him down wasn't as satisfying as I hoped- but it was still great. I also loved the twist how the defendant ends up being the boss of the Rivales family- but the boss we've seen being built up as the big bad was impersonating him all along! TLDR: I'm really glad I played this! Think I'll play Contempt of Court next since it says that was an inspiration to this- if it's anywhere near this good, I'm in for a treat! Yeah, CoC is definitely pretty great. Mediocre first case aside, it's really pretty great! The characters are all spectacular and I think I have a soft spot for the third case just because of how it ends. Thanks for playing and for your comments! I definitely recommend Contempt of Court. 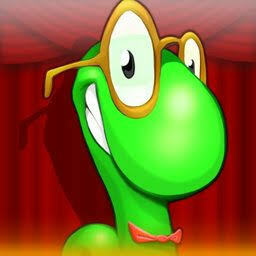 Cardiovore and I have helped each other a lot with each other's games. He definitely beats me in the visual art category. Rogue Turnabout has been updated so much since it was released (and since the majority of YouTube LPs were recorded), so I do not recommend using YouTube if you're hoping for a walkthrough. There are walkthroughs for each of the cases in the main folder. They should all be accurate. If they are not, you know where to contact me. 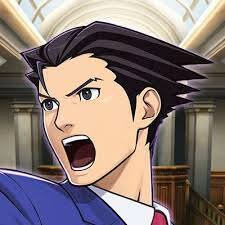 Hey, just made an account to say this is probably the best Ace Attorney game I've played. Was invested start to finish, and that one case hit me harder than anything else I've read or played. Will definitely have to check out Contempt of Court if that was one of your major inspirations. Will definitely have to check out Contempt of Court if that was one of your major inspirations. Do it! Cardiovore's game is great. Tbh, I'm kinda waiting for somebody to make a new major fangame so that people will have something new to compare ours against, as opposed to just always each other. 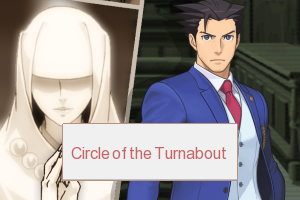 The AJ fifth case you're referring to is Turnabout Substitution. It was one of the first fancases I ever played, and for that reason it holds a very dear place in my heart. That said, I have to admit that this particular case has not aged gracefully. Darth Wiader is currently working on updating it so that it can even run on the current version of Pywright. As for future works, Cardy and I are planning a collaborative fancase called "Serafina Alexander: Turnabout Temptation," which you can find the thread for on this site. No news on when it might get released though, since neither of us have as much free time as we used to. In the meantime, there are dozens of cases on Ace Attorney Online, which range from anywhere between amazing and god-awful. DWAM has done some good cases and I typically recommend looking at his work. Edit: Forgot to mention Trials After Justice, which is also on Pywright. I love the game, but it's not yet complete, and judging by SilentBob's recent activity (or lack thereof), it probably never will be. You can play it for the first three cases though, since they're still good. Last edited by Ropfa on Mon Apr 02, 2018 3:18 am, edited 1 time in total. Ditto on DWaM. Only played one case of his (Turnabout to El Dorado) but it's extremely high quality, and I have a good feeling that the other cases he's done are just as good. Proud Developer of Turnabout R1K1!!! Hey, just wanted to say I love this game! It even inspired me to make some really high-quality fanart! Thought you might appreciate it. In all seriousness, I had a lot of fun with this. Can't wait for your next work. Great game. Played 4 case super quick and like half of 5th but then some other things got in the way. That was about 1 year ago. Now I want to finish case 5 but when I download the files i notices that Mark Watters sprites looks very different. They look older and not like the ones displayed on the first page. Am I using an old version of the game? Downloaded the one from the 1st page. Watters got some new sprites so that he looked less like Larry Butz in a black jacket. Obadiah also got an update so that he would look less like Apollo with a beard. Yeah, they looked a lot better but it was really jarring to go from one to another. I think people strangely got attached to the old sprites? It took me some time to get used to the updated sprites. Now they're in an awkward position. Nobody wants them to be updated for the other cases, so they'll look out of place here despite being better looking. Can't make everyone happy, I guess. 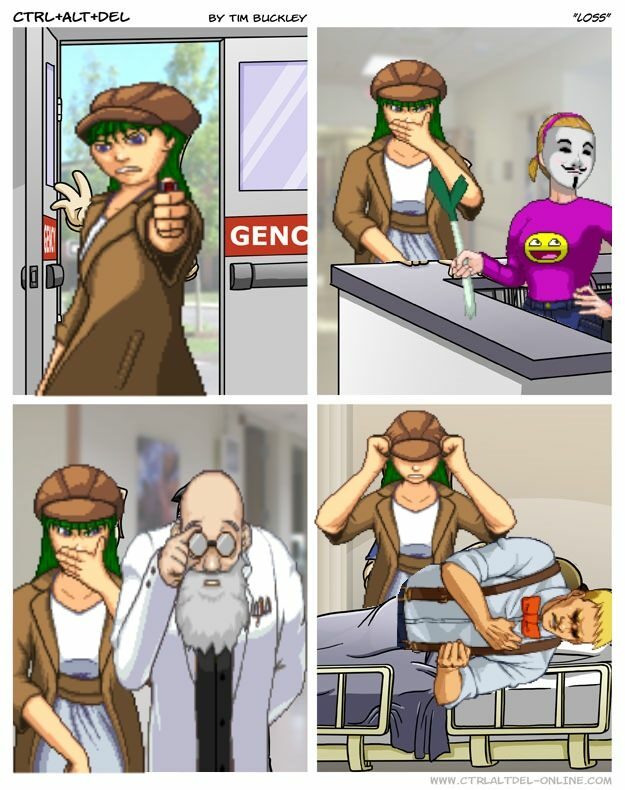 The original sprites ARE out there on the Internet if people still want to use them. I just feel like it would be really rude to Hesseldahl who made the new ones if I went back and got rid of them (plus, Obadiah's new front sprites look damn good). I kept hearing this fangame being good and shilled. I guess it's time to see what all the fusses are about. Playing it blind lads. Been playing Rogue Turnabout so far, and I gotta say, this is super good. It's somewhat unpolished, but aside from that, I'm liking it so far. I'm hoping a lot out of this. This game is very well done. The scripting is great, and the plot is well-made. Some of the characters are nice too, although their sprites are somewhat inconsistent sometimes. But hey, for a game, it's so far great. Again, it's somewhat unpolished, with some notable jpeg compressing here, but good stuff here so far. Investigating segments are a bit confusing, but then again the investigation gameplay and UI in PW wasn't that great to begin with. Court segments, are nice, and I find the contradictions very well done and clever. Figuring them out are oh-so-satisfying as usual, would recommend to pals. Overall, solid. Gonna keep playing some more with high hopes. Hear case 4 is fantastic. Can't wait to see what the rest of the game offers. 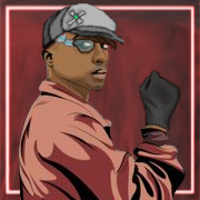 Feel free to use whatever you need from the COI art files! 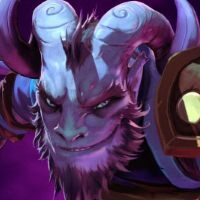 Hey, I was wondering, is there any high quality pictures of the character art (such as Obadiah and stuff)? With a download link preferrably. Alternatively, is there a sprite rip for the latest build? 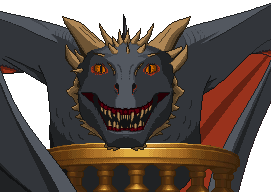 (I know there was one before, but the Obadiah sprites were outdated.) Thanks! Do you mean like HD images? No, I don't have anything of that sort. Hey all! So... I've been following a series of character alignment threads on r/AceAttorney and it got me curious to think about where the OCs in my own game might be placed. I was just having a conversation about it with Blizdi and our assessements of her ranged from chaotic good to lawful evil, which is rather funny since those are obviously complete opposite corners of the chart. She's obviously not a good person by most standards and does some pretty morally reprehensible things... And yet everything that she does is done for the betterment of other people and in her mind is justifiable. As far as lawful/chaotic, she breaks the law all over the place, but she's doing so in order to provide social order, so she's also a bit of an oxymoron there. Curious to hear other people's thoughts! Where would you place her or others in the CoI cast? Whoops, sorry. I thought I wrote her name. I meant Meredith. Well, she did try to shoot her own niece and blackmailed Phoenix into not saying it, so justifications or not, I'd still say she's very reprehensible.